GSB is a platform that connects various government entities to ensure that smart services are streamlined for the customers across the country. It helps federal and local entities to exchange data among them and provide their services in an integrated manner. With this collaboration, TRA is supporting the ministry's efforts to bring happiness to its customers and provide prompt and efficient services to them, said senior officials at the signing ceremony held on the sidelines of the Gitex Technology Week 2018 in Dubai. The project that has a comprehensive national dimension, makes it possible for the entities to reduce the time of completion of various government transactions. It is in line with the UAE government's aim to establish an integrated platform as per the vision of the leadership to offer the highest standards of digital security and safety to the consumers, they added. The GSB enhances the efficiency of the digital government services and ensures an alignment among all government agencies, by facilitating easy access to multi-source data, remarked Engineer Abdullah bin Mohammed Belhaif Al Nuaimi, Minister of Infrastructure Development. “This will contribute in achieving the aspirations of the UAE government and happiness of customers which is an important part of the strategic plans of the Ministry. It has been the endeavor of the Ministry to exchange information and follow the best global practices to benefit from them and enable the establishment of efficient and modern infrastructure with an aim of becoming the best country in the world by 2021 and facilitating the procedures to further save the time and the efforts for the ease of the customers,” he added. 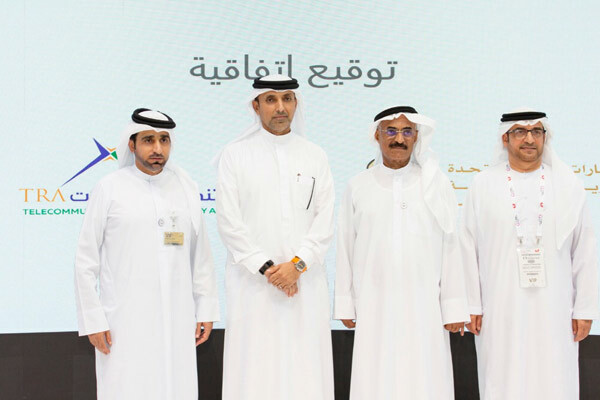 TRA Director General Hamad Obaid Al Mansoori said: "We are proud of the partnership with the Ministry of Infrastructure as it is a reflection of our belief that development of any society is based on strong ICT infrastructure." "With this aim, we look forward to a fruitful association with the Ministry, especially in the field of government services," he added.